After checking out of the Marriott we headed across street to catch our Amtrak train. I made a brief stop at Eaton Level 2 Charging Stations to see if any vehicles were plugged in. I figured I’d come across Tesla Roadster. 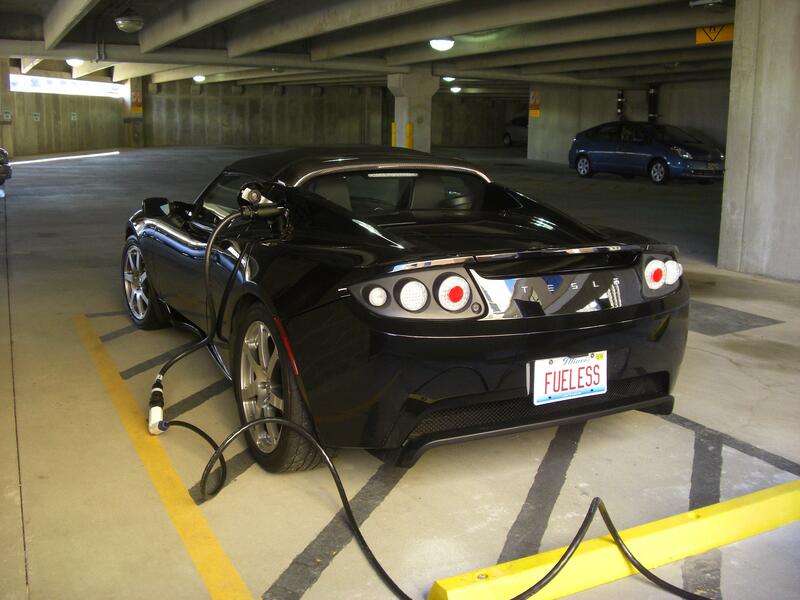 This awesome machine is owned by Revenge of the Electric Car Executive Producer Stefano Durdic. 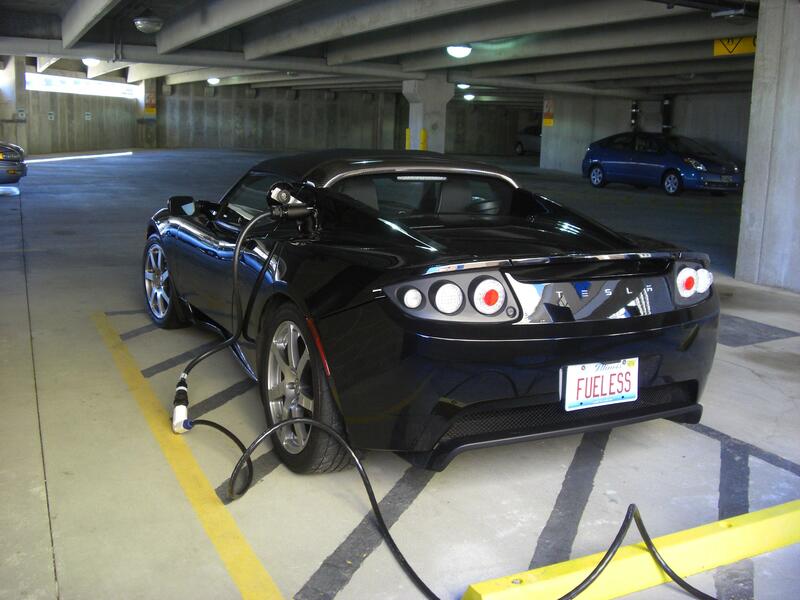 It was on public display for EV Event that took place inside Marriott Hotel night before. On left edge you can just barely make out a large non compact car parked in what I think is a space designated for those type of vehicles only. When walking by Cheryl & I both commented on this. But there are several regular parking spots by wall. So maybe the gas guzzler was parked “legally”. To us it looked like it was parked where A123 Hymotion Toyota Prius had been the day before. The video below shows the Eaton Level 2 Charging Stations this Tesla Roadster was charging from.